Whether you're looking for a romantic weekend break, luxurious family holiday or a corporate retreat, Heaven Can Wait is the ideal getaway destination. 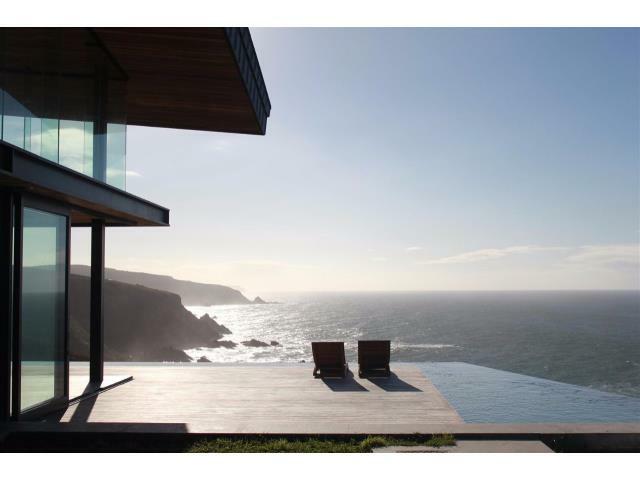 Lose yourself in the seamless views of the rugged coast while sipping champagne from the rim-flow pool; dig your toes into the crisp white sands of the Cove's private beach; explore the hidden cultural treasures tucked away in the streets of Knysna; feast on local oysters or simply enjoy a family movie in the home theatre. Wine cellar and fully equipped modern 8 seater bar with spectacular sea view. An elevator runs between all the floors in the house allowing easy access for people with disabilities. Luxurious 36m rim flow pool overlooking the ocean and a balmy 36°C jaccuzzi. Superb 5 seater home theatre featuring 127mm widescreen and Denon 1911 sound system. Pristine private beach used exclusively by the Cove's residents.